It is just over three days until the wedding of Britain's Prince Harry and fiancé Meghan Markle where an expected 100,000 people, including yours truly, will line the streets to catch a glimpse of the couple in person. 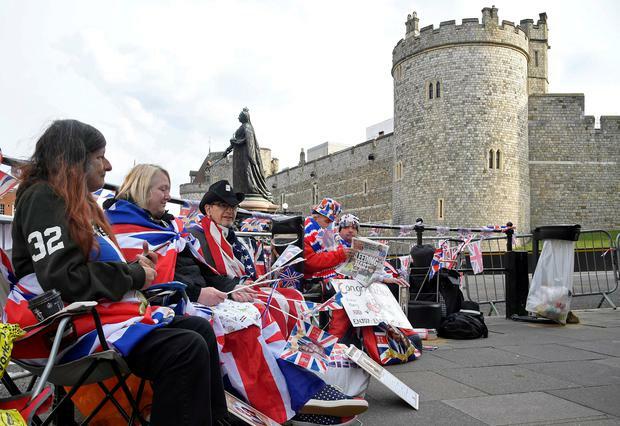 The world's media has begun to descend on Windsor, trying to find the right die-hard fan, whether it be a man draped in a Union Jack flag or a woman who has set up camp for the next few days directly at the entrance gates. While traipsing up and down some cobbled streets, an enthusiastic reporter from Entertainment Tonight was recording with a camera crew in a horse and carriage yelling enthusiastically about the nuptials. The largest populous of visitors is definitely royal-enamoured Americans, not only for their American princess-to-be, but also a long-standing affection for the late Princess Diana and her two sons. At every turn, Meghan and Harry tat is available for just the right price (it's estimated the wedding will bring in over €16bn to the British economy). Interested in a magazine with Saturday's date on it? That'll cost you £2.99. Perhaps your sitting room needs a bell with the couple's engagement portrait on it? £7.99. Not forgetting the only slightly creepy masks you can buy of any of Britain's high ranking royals including Charles, Kate Middleton and of the course the married couple to be, all for £3.99 each. Psychics and bookies may be united in their belief that this weekend's wedding isn't going ahead, but by all accounts the light is green for Saturday's nuptials. 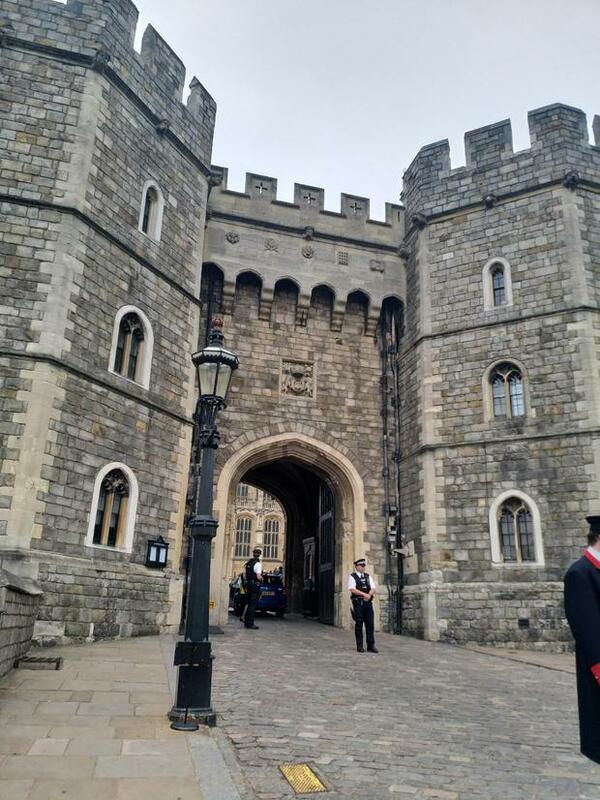 Armed guards are manning the streets, police officers ride on horseback and an achingly polite, but firm, man guarding the grounds of Windsor Castle's entrance has been shooing tourists onto the footpath all day. The last tours of the castle ran this afternoon, with excitable tourists, including this journalist, taking selfies outside the doors of St George's Chapel, which is closed for preparations this weekend. Earlier this week, rehearsals took place at the venue with some of the musicians and on Friday, Meghan, Harry and the bridal party will take part in a rehearsal before making their way to separate hotels before their big day. Local businesses seem unfazed about the impending flock of fans about to take hold of their city. All the main streets will be closed but they hope for business as usual come Saturday afternoon when the festivities wrap up. Windsor is no sleepy village at the best of times with over 600,000 people visiting the area annually. 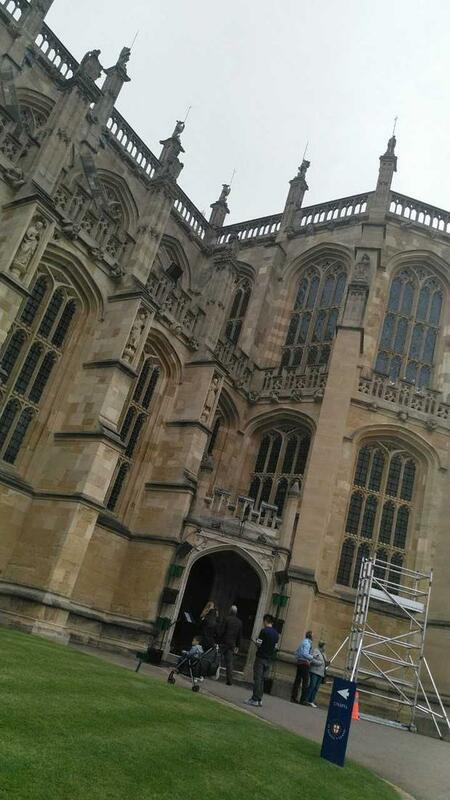 Coverage of the wedding has been dominated by Meghan's father Thomas Markle Sr's will he - won't he attendance (he won't), the surrounding area is filled with well wishers hoping to play their own part in a modern love story.